This project began in early March when the snowflakes and snowmen that hung in our room just didn't match what was happening outside our window. The snow had begun to melt, the sun was shining and I was craving green! So I took it all down, sent the snow pants home (bad move because it snowed the next week!) and offered an invitation to explore shades of green in the art center. 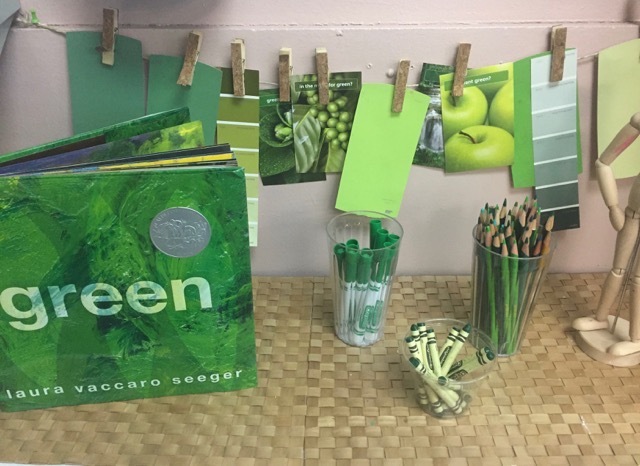 We began by reading Green by Laura Vaccaro Seeger and looked at shades of green in paint samples. The children noticed that some were dark and some were light and that some were barely green at all. When I shared the above picture on social media, another teacher suggested we explore the paintings of Henri Rousseau as his jungle paintings are known to have 22 shades of green. 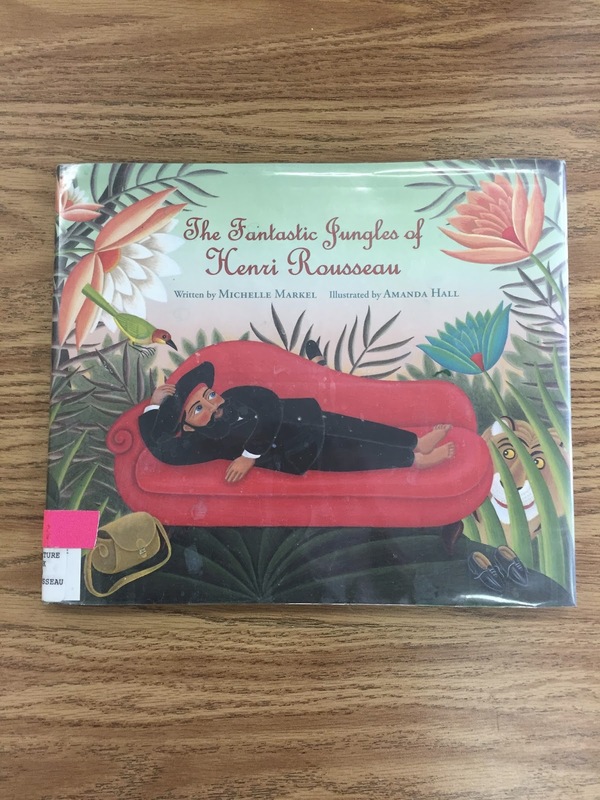 So I found this book, The Fantastic Jungles of Henri Rousseau by Michelle Markel, at the library and the children were very interested in his life and work. 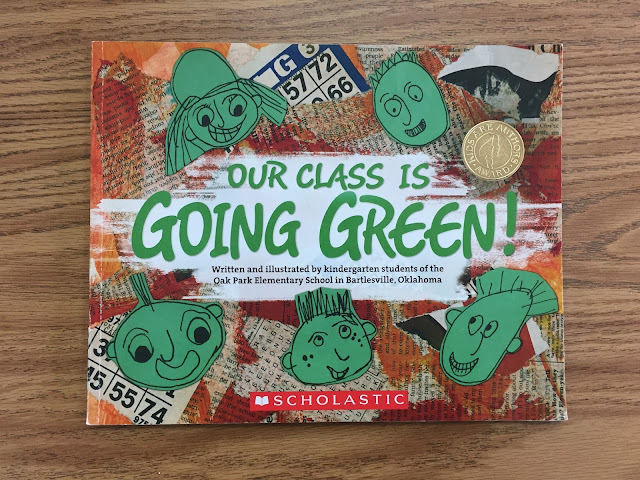 In addition to having many shades of green in the illustrations, the book also carried a great message about believing in yourself and not giving up! Then, we began to paint! The children began to experiment by mixing blues, yellows and greens to create different shades. Language naturally flowed from their observations as they described the colors they were creating. 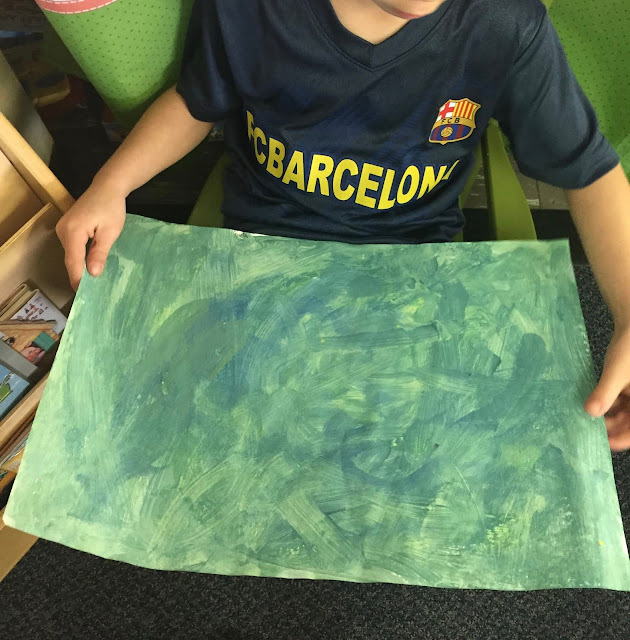 When they were finished, each child gave a name to one shade of green in their painting and shared it with the class. 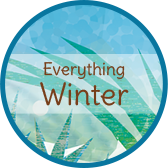 I thought this might be difficult for some, but it wasn't at all and they came up with some great names for green that included words such as jungle, grass, leaf, mint, parrot, and forest. As spring inched closer, we talked about the "greening of the Earth" and I invited the children to be on the lookout for this transformation. 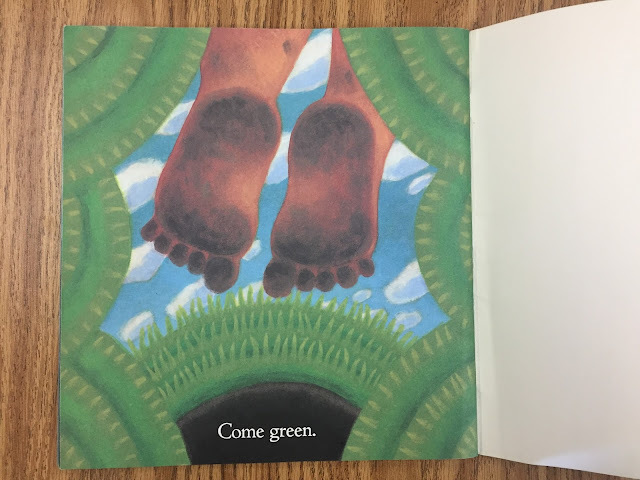 We read Mud by Mary Lyn Ray which beautifully illustrated the change from frozen ground to spring green. I thought we might use our shades of green paintings to create leaves, grass, etc. 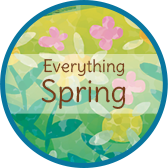 for a spring mural as we explored and anticipated signs of spring. However, the children had a different idea! 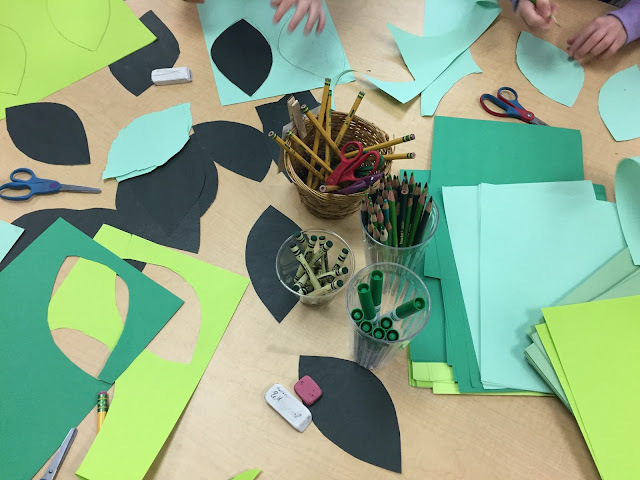 They didn't want to cut their paintings so I rounded up various shades of green construction and copy paper and they used that instead (stay tuned to find out how we did use the paintings!). 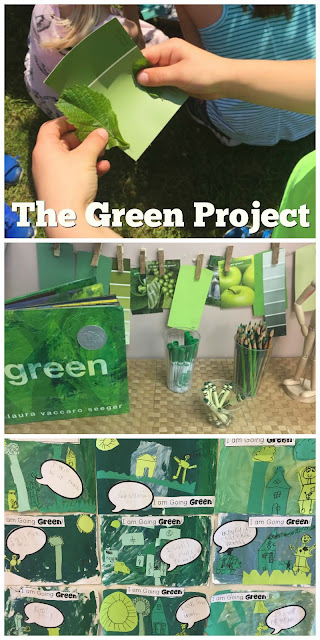 We also explored green in the animal kingdom using this book Colorful Creatures by Anita Ganeri. Which led me to remember this classic song, "It Isn't Easy Being Green." As Earth Day approached, I asked the children, "What it meant to "BE green?" 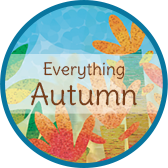 The children talked about being sick and turning into a superhero but none of them knew this term in the environmental sense. So I sent them home that night with this question to think about. The next day, I shared Our Class is Going Green that was written by a class of kindergarten children. 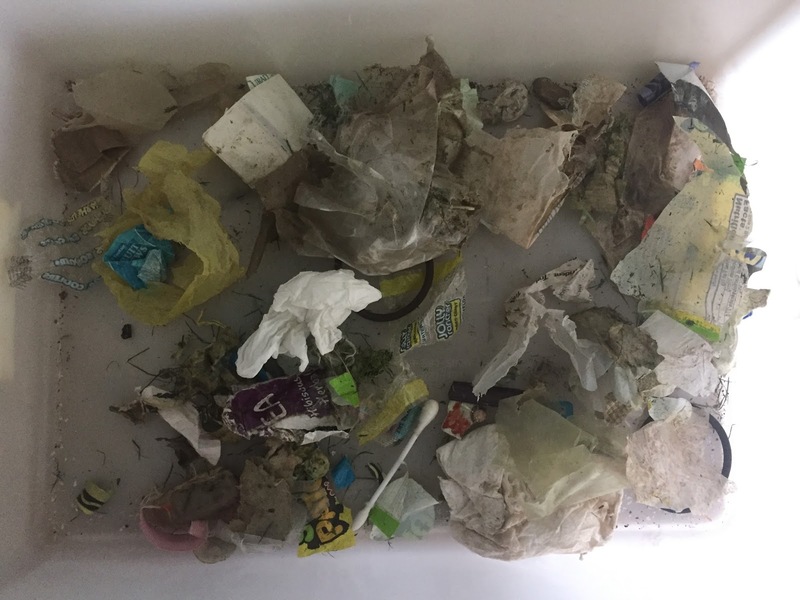 We took action by doing a "trash to treasure" project where the children learned how they could reuse items by transforming them into something new. 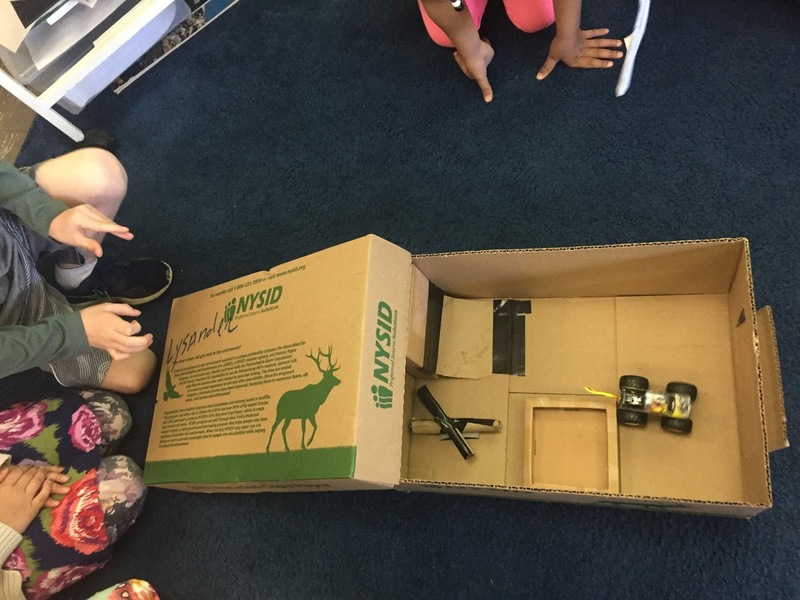 Many brought in boxes they had made into ramps, doll beds, or keepsake boxes. Some also made banks using take-out containers. We went on a "green walk" to pick up trash. 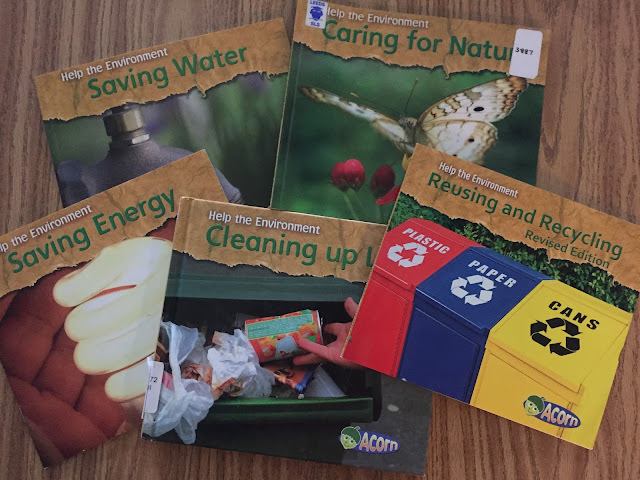 And we looked at ways to conserve in our classroom such as turning off lights, using both sides of a paper, and not letting the water run too long. I knew they were beginning to bring their learning home when some children shared stories about telling siblings to turn off the water while brushing and parents to take shorter showers. Some even began to write poems about taking care of the Earth during writing workshop. As their "green" voices grew louder, I suggested we make posters to inspire others. 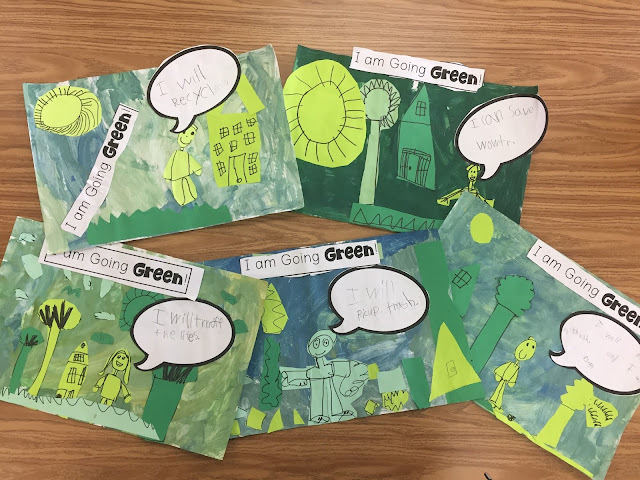 So, they used their paintings to create posters that were similar to the illustrations done by children in the book Our Class is Going Green (see above). 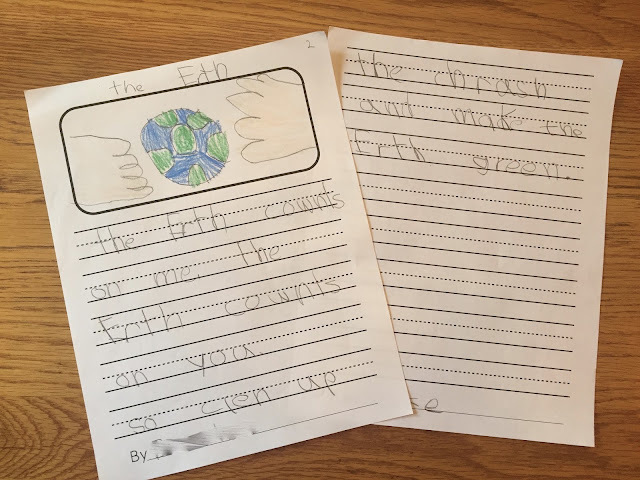 On the talk bubbles, the children wrote one of the things they were doing to take care of the Earth. 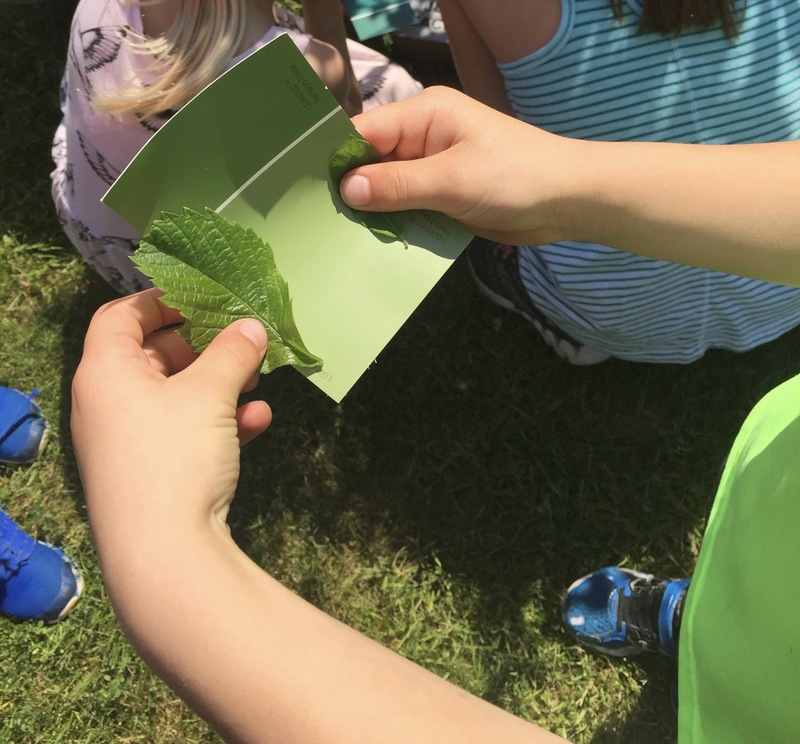 At this point in our study, the Earth was truly green and we headed outdoors with our paint strips to see if we could find some of the different shades in nature. Some shades were easier to find than others, so the children started to notice matches between manufactured items such as cars, clothing, benches, and playground equipment. This became an opportunity to talk about the difference between natural and human made objects. With about 5 weeks left to go in the school year, there are still more possibilities for this project! 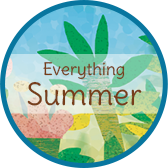 The plant kit just arrived from the science center along with opportunities to test our "green thumbs," explore the greenhouse effect, and discover what it means to eat "green." I'll keep you posted!